Informa increased their US winter wheat production estimate to 1.481 billion bushels on Friday, compared to the USDA's May estimate of 1.458 billion. That's up 15 million bushels from Informa's last estimate a month ago, and 64 million bushels above their April forecast. Much will surely hinge on yields in Kansas where the winter wheat harvest is expected to start any day now. Further south in Texas and Oklahoma the harvest is in full swing. Early reports from these states seem to be suggesting decent test weights and yields, but proteins are a bit disappointing. There has been plenty of talk of heavy infestations of stripe rust springing up the US's top producing wheat state. "Kansas wheat has succumbed to disease deteriorating rapidly in the past 2-3 weeks. Stripe rust has been the main culprit. Infestations are so bad that wheat breeders are throwing out 40-60% of their breeding stock," say Martell Crop Projections. "Rainy May weather should have been a yield booster but instead promoted rapidly spreading fungus disease," they say. Meanwhile winter wheat in the Pacific Northwest is also becoming infested with disease. "Conditions have been persistently rainy and cool this spring. Like Kansas, generous rains were beneficial to begin with, boosting wheat in the jointing stage. With spreading disease, poor-very poor wheat increased to 14% of Washington wheat, up from only 5% May 1," they point out. Spring wheat potential is "excellent" at the moment however with topsoil moisture "much better than normal" they add. Over the border in Canada however it has been a very wet spring with major flooding potentially meaning that more than a million acres might go unplanted in Saskatchewan, according to the Canadian Wheat Board. Crop insurance deadlines here are June 15-20, depending on the area and crop. Things are particularly bad in Saskatchewan, which produces more than half of the nation's wheat crop. Here, only fifty-nine percent of the wheat crop is in the ground, according to Saskatchewan Agriculture's Weekly Crop Report. That's an increase of only four percentage points from the previous week, indicating just how slow progress is becoming. The five-year average for this time of year is 86 percent complete. Planting is worst affected in the northeast (44 percent complete) and in east-central Saskatchewan (42%). Cropland topsoil moisture conditions here are reported as 94 and 84 percent surplus, respectively. Eighty percent of spring cereals and oilseeds are behind normal in development, they add. In the northeast region only 13% of spring wheat is rated good/excellent. Planting progress here only managed to advance one percentage point from the previous week's report last week due to soils being saturated and unable to support heavy equipment. July soybeans closed at USD9.35, down 20 cents; July soybean meal closed at USD277.20, down USD6.80; July soybean oil closed at 36.78, down 88 cents. Export sales were dismal at 148,142 MT, with no sign of China. Reports suggest that their recent heavy import program is causing severe congestion at some Chinese ports, leading to orders being cancelled or rolled forward. Actual shipments this week were only 149,100 MT, although export business is still running ahead of last year by 6.97 MMT. The firm dollar and weak crude oil market spurred the anticipated surge in pre-weekend selling. July corn closed at USD3.40, down 9 1/2 cents; Dec corn closed at USD3.59 1/2, up 10 3/4 cents. Export sales were only 313,047 MT for both marketing years against expectations of around 1 MMT. The recent interest from China seems to have disappeared as quickly as it arrived, at least for now. Early growing conditions in teh US look pretty ideal with warm and wet the order of the day. The USDA will report on plantings and crop conditions Monday night. Just about all the crop is expected to have been planted now, and conditions may have improved even further after last week's 5 percentage point leap pegged 76% of the crop rated good/excellent. July CBOT wheat closed at USD4.35 3/4, down 6 cents; July KCBT wheat closed at USD4.65, down 6 1/2 cents; July MGEX wheat closed at USD4.92 3/4, down 5 cents. Wheat set fresh contract lows today, with July CBOT wheat slumping to the lowest price for a front-month contract since last September. Export sales were a bit below expectations at 241,076 MT with old crop wheat sales coming in negative at -53,200 MT for the last week of the 2009/10 marketing year. The harvest is in full swing in the Southern Plains and likely to move into the top producing state of Kansas any day now, so we will soon know what effect stripe rust might have had on yields. London wheat closed mostly lower Friday, with Paris mainly a little firmer. November London feed wheat was GBP1.30 lower at GB)102.10/tonne and November Paris milling wheat up EUR0.75 at EUR139.50/tonne. Paris wheat was supported by the acute weakness of the euro which fell to fresh multi-year lows against the dollar and broke through 1.21 against the pound for the first time since late 2008. 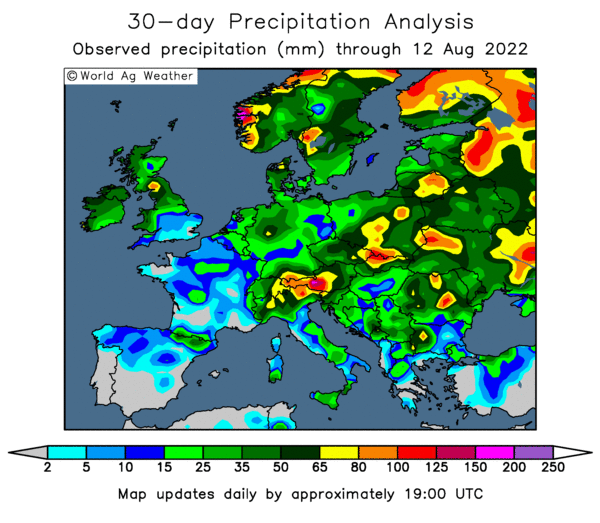 Weather concerns seem to have largely disappeared for now, with much of the UK, northern France and Germany receiving at least some rain in the past fortnight. November London wheat has fallen GBP8.90 in the past two weeks. Chicago wheat has also fallen sharply, setting fresh contract lows again Friday as the strong dollar continues to hamper US exports. Having missed out again in this week's Egyptian tender, the USDA reported net export sales of only 241,100 MT on Friday, below trade estimates for sales of 250-500,000 MT. Despite lower production this year, the usual suspects in the Black Sea region will be gearing themselves up for another aggressive early season marketing campaign as soon as the harvest gets underway. Lack of storage and the urgent need for cash will have traders in these countries, and those of eastern Europe, clamouring to take whatever export orders they can find. That will only depress prices further, with little prospect of better returns until the new glut of supply is cleared, and that may not happen until 2011. The overnights closed lower with beans down 3-5 cents and corn & wheat 2-3 lower. The dollar is higher, especially against the sickly euro. Crude oil is back under pressure despite the US saying that they won't allow any fresh drilling in the Gulf of Mexico. Export sales from the USDA were very poor and there was no sign of China buying more corn (or soybeans for that matter). That might set the tone for a weak opening this afternoon. US weather is wet for next week, that may help newly planted corn but may hinder soybean sowing getting wrapped up but there's plenty of time for that to get sorted yet. Traders will be keeping an eye on Canada where there has been far too much rain. Spring wheat and rapeseed doesn't have an enormous planting window here, and there are legitimate concerns over production losses to both. Early calls for this afternoon's CBOT session: corn called 2 to 3 lower; soybeans called 3 to 5 lower; wheat called 2 to 3 lower. I think we may see wheat and corn lead the way down, with some pre-weekend selling in beans also likely to feature. We could end tonight with more significant losses than these opening calls I feel. Where Did All The Export Sales Go? Has there been a mix-up at the USDA? Is Miss Tibbs on holiday this week, or has she been up all night doing unmentionable things to the agricultural attache to Nigeria again? Old crop wheat sales came in negative at -53,200 MT with new crop sales a bit better at 294,300 MT giving total net sales of 241,100 MT, below trade estimates for sales of 250-500,000 MT. Exports of 300,000 MT were down 48 percent from the previous week and 37 percent from the prior 4-week average. Corn sales were also poor at 198,700 MT for delivery in 2009/10 - a marketing-year low - and just 114,400 MT for delivery in 2010/11 with not a Ching Chong Chinaman in sight. Pre-report expectations were for sales of up to 1.25 MMT. Exports were 1,226,600 MT. Soybean sales were also a pathetic looking bag of spanners at 135,000 MT for delivery in 2009/10 and an embarrassing 13,100 MT for delivery in 2010/11. Expectations were 200-400,000 MT. Again no Chinese interest was in evidence, and exports were only 149,100 MT. I can't recall seeing a more across the board pathetic set of USDA weekly export sales for some considerable time, they should be called WEAKLY export sales today. The message that US wheat is still too expensive even whilst setting contract lows may finally be hitting home. Look for more weakness tonight on the back of these. The euro has slumped to a four year low of 1.2051 against the dollar and its worst against the pound since December 2008 when sterling came within spitting distance of reaching 1.21 against the beleaguered single currency. It's the same old story for the euro, concerns over the magnitude of sovereign-debt. China said last week that it was reviewing the euro portion in its mountain of foreign exchange reserves as the currency continues to fall. It's ironic that it was only a year ago that China was expressing it's dissatisfaction with it's exposure to the then declining US dollar. Now it's ditching the euro in favour of the US currency. Chinese exporters are said to becoming increasingly reluctant to accept the euro in settlement of foreign trade. Figures from the ECB say that Eurozone banks are depositing record amounts of cash in the ECB's overnight facility. That is being taken as a sign that they are happier having it sitting on deposit than lending it out to business. One euro was worth 1.4287 at the close of 2009, it has subsequently fallen more than 15% from that level and we are less than halfway through the year. It was when it left Peru three weeks ago madam. Once again the supermarkets are under fire for selling all manner of fruit and veg that are in season here in the UK, yet they chose to ship it in from all over the world. The Ukraine Ag Ministry say that this season's rapeseed crop will only total 1 MMT, that's a very hefty near 45% drop on last season's 1.8 MMT. Whilst there is the very eminent possibility that they are telling porkies in an attempt to get the market up, it seems pretty clear that production there WILL be sharply lower this season. They will actually produce more soybeans than rapeseed this year, harvesting a crop of around 1.5 MMT, the Ministry add. Wheat output this season will come in at around 18-18.5 MMT, they say. That's a fall of around 11-14% on last season's 20.9 MMT. Cereal giant Kelloggs are in hot water, or is it milk, over advertising claims that Rice Krispies help "support your child's immunity" according to a report on Reuters. 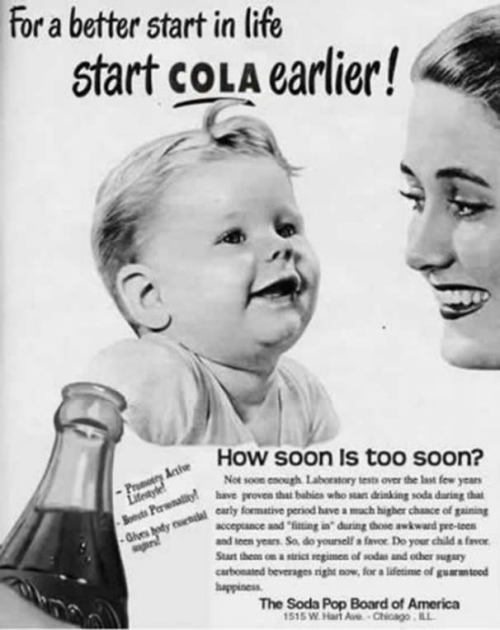 They faced similar criticism last year for saying that another of their products was "clinically shown to improve kids' attentiveness by nearly 20 percent." I thought that Spongebob Squarepants did that? Veteran US actor Mickey Rooney has been sensationally forced to rule himself out of contention for the American squad for this summer's World Cup in South Africa. Rooney, 89, pulled up heavily in training clutching his metatarsal after an accidental clash with US and Everton goalkeeper Tim Howard. "Get up, I didn't touch you, you, you, you.......dwarf," said an apologetic Howard afterwards, struggling to control his tourettes. "I'm bitterly disappointed," whined Rooney from the safety of his crutches. This summer's World Cup tournament was seen by many as his sporting swansong, after a career that has been blighted by injury and bad luck. Who can forget the cruel way in which he was desperately unlucky to lose the ride on Grand National winner "The Pie" back in 1944 to a twelve year old schoolgirl? What's Going On This Morning? The Chinese and Argies are making no progress in talks to resolve their trade dispute, according to a story on Dow Jones News. It says that China lifting the ban on Argie soyoil imports is "unlikely" to happen during 2010. If they're right does that mean we will see Chinese soybean imports to 50 MMT this year? I think it might. With just four weeks left in the 2009/10 marketing year Brussels has issued soft wheat export licences for just over 16 MMT, 4 MMT lower than at the same time last season. Wheat imports meanwhile are almost 3 MMT lower than a year ago at 2.9 MMT. It looks like the intervention book has been closed, with 5.5 MMT of mostly barley now residing in stores across Europe, mercifully only 150,000 MT of that is here in the UK. Egypt bought 180,000 MT of wheat in yesterday's tender split 120,000 Russian and 60,000 MT French. The French wheat was reportedly sold at USD171.77 FOB plus USD32.55 freight. Heavy rain is forecast across the Canadian prairies over the weekend, that will further hinder spring planting progress which is already well behind schedule. The spread between Minneapolis hard red spring wheat and Chicago soft red winter wheat continues to widen. Two months ago the differential was 34 cents, last night it was 57 cents. The USDA are out a day later than usual with their weekly export sales report at 13.30 BST. Soybean sales are expected to be 200-400,000 MT, corn sales 700,000 MT to 1.25 MMT, and wheat sales 250-500,000 MT. Will there be any corn sales to China? I'm indebted to William England for emailing me to suggest I gets Mrs N#3 down to the shops pronto to avail myself of an atlas. "Czechoslovakia does NOT exist having shed communism in 1989 and then divided amicably into the Czech Republic and Slovkia in 1993," William points out. Has anyone ever seen that Monty Python restaurant sketch where the diner politely asks for a clean knife whereupon the owner suffers a mental breakdown and stabs himself for allowing such a heinous crime against humanity to be permitted on his premises? And by the way William where's the chuffin 'eck is Slovkia when it's at home? You're making this stuff up aren't you? July soybeans closed at USD9.55, up 22 1/2 cents; November soybeans closed at USD9.19 3/4, up 16 1/4 cents; July soybean meal closed at USD284.00, up USD12.60; July soybean oil closed at 37.66, up 24 points. Short-covering was a feature with wet weather forecast to slow soybean planting progress in the US. Weekly export sales estimates for tomorrow range from 200-400,000 MT. July corn closed at USD3.49 1/2, up 1 cent; Dec corn closed at USD3.70 1/4, up 1/2 cent. Weekly export sales estimates for tomorrow range from 700 TMT to 1.25 MMT. Better than expected crop conditions reported on Tuesday, and ideal growing conditions, have kept a lid on prices this week. A weaker dollar and firmer crude oil was supportive. July CBOT wheat closed at USD.41 3/4, down 3/4 cent; July KCBT wheat closed at USD4.71 1/2, down 2 1/4 cents; July MGEX wheat closed at USD4.97 3/4, up 1/2 cent. Weekly export sales estimates for tomorrow range from 250 - 500,000 MT. Egypt bought wheat from Russia and also from France in this week's tender. Winter wheat harvesting is moving north into southern Oklahoma and the Kansas harvest should be underway in the next week. EU wheat finished mixed Thursday, with November London wheat GBP0.15 higher at GBP103.40/tonne, and November Paris wheat EUR0.50 higher at EUR138.75/tonne. French wheat managed to secure some of Egypt's wheat tender today, with the world's largest wheat importer booking 120,000 MT of Russian and 60,000 MT of French wheat. Egypt however continue to flex their muscles, not only do they now insist on a one port of loading rule, they recently tightened their quality criteria by lowering their maximum moisture requirement to 13%. As Kevin Keegan famously once said "I'd just love it, love it, if nobody bothered to bid on their next tender." It was something like that anyway. Having fallen sharply in the last week or so, EU wheat prices now seem to be in a period of consolidation. Recent rains have eased crop production fears in the UK, France and Germany. The euro continues to get weaker by the day, which should put a floor under further Parisian losses. The overnight grains closed mostly firmer with beans up around 4-5 cents, wheat 2-3 higher and corn flat to 1c lower. The dollar is a tad lower and crude oil a little firmer. US weekly jobless claims fell 10,000 as expected. The usual Thursday export sales report from the USDA is delayed until tomorrow after Monday's Memorial Day holiday. The trade will be scrutinising that for further possible Chinese buying of corn and beans. The first consignment of US corn heading for China in four years set sail yesterday apparently. It will be three weeks or so before we can be 100% sure that there won't be any problems at customs when it arrives. The winter wheat harvest is underway in Texas and southern Oklahoma, early reports say yields are pretty good (see here for some field reports). It will be interesting to see what the field reports from Kansas say once the harvest begins there in a couple of week after much talk of fungal diseases lately. US wheat set fresh contract lows last night, but could fall further as it is still uncompetitive on the world export stage with north African buyers. Egypt passed on US and Canadian wheat again today, buying 120,000 MT of Russian and 60,000 MT of French wheat. US soybean planting is in line with normal at 74% done as of last Sunday. Further heavy rains across large parts of the Midwest this week may see planting progress not improve too much from that in Monday night's USDA report. Early calls for this afternoon's CBOT session: corn called mixed; soybeans called 3 to 5 higher; wheat called 1 to 2 higher. After a wetter than normal growing year hopes were high of a decent grain crop in Morocco this year, but heavy storms and hail late in the season have cut production forecasts. The grain harvest this year will fall by more than 20% from 10.2 MMT to around 8 MMT, according to the Moroccan Agriculture Minister. Soft wheat output will fall 11.6% to 3.8 MMT, from 4.3 MMT in 2009, meaning that the north African nation will need to import around 3.6 MMT of soft wheat in 2010/11, he says. Who'd have thought it? Credit ratings agency Fitch has downgraded oil giant BP to AA from AA+, and placed them on negative watch. US senators yesterday said that it was "unfathomable" that it would consider paying a dividend to its shareholders while it continues to battle the current Gulf oil leak. The wheat market is looking set to get awfully competitive in the north before too long. First Cerestar switched from processing corn to wheat, then Ensus opened up, we've got Vivergo on stream for early 2011, they're digging the footings at Vireol and now I hear that Syral have submitted a planning application to redevelop the former Tate & Lyle site in Selby to produce grain ethanol. Pretty soon it won't be wheat that we are awash with it'll be DDGS in all their various forms. Chicago wheat set contract lows yesterday, as it frequently does at this time of year with the harvest just getting underway. By the time it reaches Kansas in a few weeks time we will have a clearer picture of how good, of bad, yields are likely to be this year. The unusually cold and wet spring has led to significant problems with stripe rust this year, a disease that lowers yields and quality of wheat. The Kansas Wheat Quality Council's crop tour of wheat fields in early May suggested that yields in the top-producing US state may disappoint. If reports of subsequent widespread stripe rust are accurate, then we may see final Kansas yields average below 40 bu/acre (from 42bu/acre in 2009). Spring wheat planting is underway in Kazakhstan under very dry conditions, yields could also be a problem there this year. Russian wheat has only suffered very low levels of winterkill in the past couple of seasons, but losses this year are estimated to be around 12%, potentially cutting their wheat crop to around 53 MMT from 61.7 MMT in 2009. 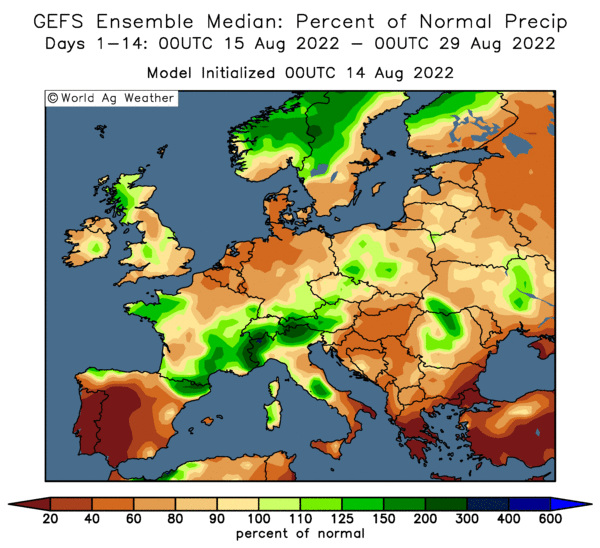 Have rains arrived just in time to save wheat in Northern France, Europe's largest producer? We'll know before too long. Winter wheat in the UK looks a whole lot better than it did a few weeks ago, although it's too early to put an accurate prediction on yields just yet. Whilst April and May were cooler and much drier than normal in western Europe, its been tipping it down in Poland, Czechoslovakia, Romania, Hungary etc. That may lead to some quality issues. Lack of finance may also end up having a negative impact on output here. That could also be an issue for many growers in Ukraine this season, where winterkill rates were also higher than in recent years. 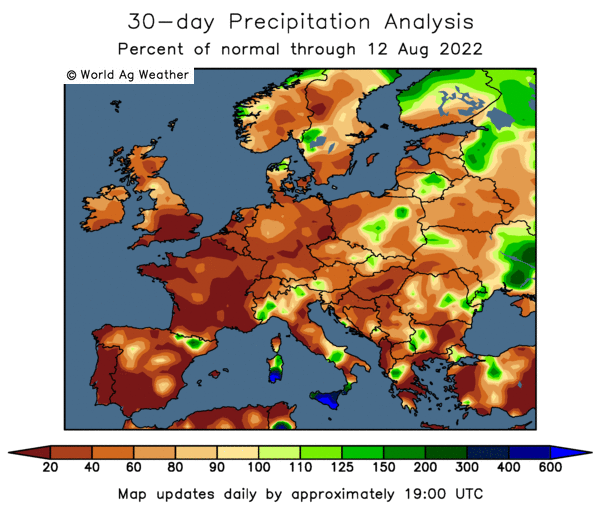 Spain and Portugal enjoyed a much wetter than normal winter which should give them a decent wheat crop. That also applies to Italy. 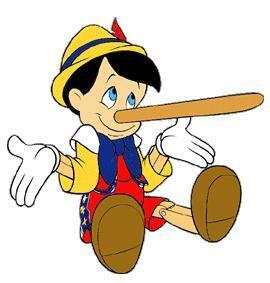 Chinese officials, bless their little lying cotton socks, are estimating a wheat crop broadly unchanged from last season despite a number of weather issues this season, with an unprecedented drought in the south, and cold in the north. Then again they are still saying that they had a corn crop of almost 164 MMT in 2009, so why would say anything different about this years wheat? The harvest in India and Pakistan is at an end, with official estimates here showing a wheat crop similar to last season in India, and around 2 MMT down in Pakistan. The Indian government have wheat coming out of their ears they say, carryover stocks from last season are so large. In reality the quality of last season's wheat is so poor that it may well indeed have been stored in the Indian governments ears. Whilst we have harvest time just around the corner, planting is only just beginning in the southern hemisphere. Argy farmers are likely to finish wheat planting by the end of the month, they are around 15% done at the moment. Production is expected to be significantly higher than last seasons measly 7.5 MMT, although estimates vary quite widely at the moment. Planting is also underway in Australia. Conditions in the east are said to be largely favourable, although there have been problems with dryness in Western Australia, the nation's largest producing state. Output overall is seen holding steady around 22 MMT. July soybeans closed at USD9.32 1/2, up 1/2 cent; July soymeal closed at USD271.40, up US2.00; July soybean oil closed at 37.42, down 10 points. The higher dollar created some downward pressure but firmer crude oil was supportive. Soybean planting surged ahead to 74% complete, advancing 21% in the week. "If there is a worry in soybeans it's a worsening drought in the Lower Mississippi Delta, retarding growth in southern Mississippi, Louisiana and southeast Arkansas," say Martell Crop Projections. July corn closed at USD3.48 1/2, down 5 1/2 cents; Dec Corn closed at USD3.69 3/4, down 5 1/2 cents. "The US corn crop improved with increased heat and sunshine last week. The national crop rating reached 76% good-excellent, 20% fair and 4% poor. Growth was rapid very rapid boosting corn emergence to 85%. Freeze damaged corn has fully recovered in Iowa, where corn was considered 74% good-excellent, 21% fair and 5 % poor," say Martell Crop Projections. July CBOT wheat closed at USD4.42 1/2, down 8 1/4 cents; July KCBT wheat closed at USD4.73 3/4, down 4 1/4 cents; July MGEX wheat closed at USD4.97 1/4, down 3 3/4 cents. Tomorrow's USDA weekly export sales will be the last report for the 2009/10 marketing year. "Overall US winter wheat potential is favorable, but diseases are cropping up in Kansas and Washington, the number 1 and 3 leading US winter wheat states," say Martell Crop Projections. November London feed wheat closed down GBP1.25 at GBP103.25/tonne, and November Paris milling wheat was EUR1.25 easier at EUR138.25/tonne. 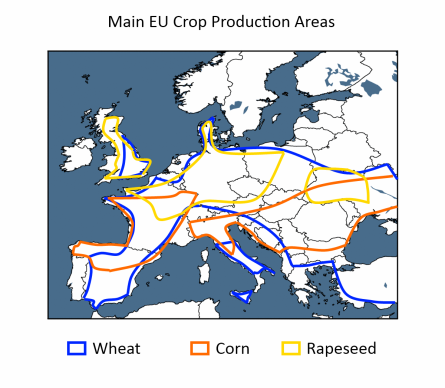 EU wheat extended recent losses on wet weather throughout western Europe. If recent rains have been sufficient enough to alleviate April/May dryness is open to debate. Suffice to say is that the market currently believes that it has. The market also seems content to ignore flooding problems in eastern European areas such as Poland. Egypt are said to be tendering again this week for 120,000 MT plus of EU//US/Black Sea wheat. With the euro managing to have declined further since last week's tender it will be interesting to see if French wheat gets a look in. EU wheat has moved down quite substantially over the past week or so, highlighting I think that prices are rangebound. Currently anything in three figures (which has been achievable lately) ex farm for harvest time wheat is a nailed-on sell, IMHO. The Black Sea countries will be aggressive sellers come new crop no matter what, I feel. What is going on in Canada at the moment? Flooding of "historic" proportions in Saskatchewan, Canada's largest wheat producing province, means that only 55% of springs crops were sown as of May 24th, compared with 81% normally at this time of year. More rain is forecast for the region Thursday, Friday and Saturday. They don't want any more, having just had the wettest April and May on record. Accompanying the rains have been cooler than normal conditions too, leading to very poor drying conditions, say Martell Crop Projections. Rosetown East, in the south of the region picked up over eight inches of rain in May, almost 7 inches more than normal for the month. Meanwhile parts of southern Manitoba saw rainfall totals in excess of 4 inches over the past weekend alone. Farmers in the province now face a race against time to hope that their saturated fields dry out so that they can get their wheat planted before the June 20 deadline for crop insurance passes. Further west in Alberta some farms in the Calgary area the cold weather brought up to 3.5 inches of snow over the weekend. Elsewhere in the country Ottawa had a stunning high of 35.8 C, whilst hail stones the size of golf balls reportedly hit London, Ontario. China's state-sponsored think tank CNGOIC reiterate that the 2009 drought-ravaged corn harvest there produced 163.97 MMT. They won't be needing to import any this season then will they. "What's 20 million tonnes here or there?" Ukraine exported 230,000 MT of wheat, 340,000 MT of barley and 280,000 MT of corn in May say the Ag Ministry there. I'd love to know where they keep finding all the wheat from. This bring grain exports in the current marketing year to 20.2 MMT, comprising 8.9 MMT of wheat (vs 11.9 MMT in 2009), 5.2 MMT of barley (unch) and 5.2 MMT of corn (unch). "Something comes into the market to completely turn it around from so far off-field that it is totally unseen and unpredictable." - Nogger's Granny, just after the German's bombed our chippy, Liverpool May 1942. July soybeans closed at USD9.32, down 5 3/4 cents; July soybean meal closed at USD269.40, down USD4.10; July Soybean oil closed at 37.52, down 9 points. A firm dollar and weak crude oil and equities led beans lower. Another week of decent planting weather saw US soybean planting progress reach 74% with 46% of the crop emerged. Condition ratings for beans will almost certainly be available next week. The China National Grain & Oils Information Centre say that soybean imports in the 2010 calendar year may rise from the 46 MMT currently predicted to 48 MMT. July Corn closed at USD3.54, down 5 cents; Dec corn closed at USD3.75 1/4, down 4 3/4 cents. The USDA pegged corn plantings at 97% complete and emergence was 85%. Crop conditions leapt by 5 percentage points to 76% good/excellent. Ideal weather conditions are in the forecast for the next several days. China sold almost all of its corn on offer at the weekly auction, although no more purchases from the US 9or anywhere else) have been confirmed in the past few days. Weaker crude oil and a firm dollar added to the bearish tone. July CBOT wheat closed at USD4.50 3/4, down 7 cents; July KCBT wheat closed at USD4.78, down 3 1/2 cents; July MGEX wheat closed at USD5.01, down 5 cents. July CBOT wheat posted new contract lows. Spring wheat planting came in at 95%, one point behind the five year average, with emergence on par with the average at 84%. Winter wheat was 75% headed, lagging 3 points behind the five year average. Winter wheat condition ratings dropped a point from last week in the good/excellent category at 65%. EU wheat futures closed lower, with London wheat significantly so, pressured by decent weekend rains across western parts of the region. November London wheat ended GBP4 lower at GBP104.50/tonne, and November Paris wheat down EUR1.50 at EUR139.50/tonne. London wheat was particularly badly affected by a strong pound which broke through 1.20 against the euro for the first time since December 2008. Spain’s debt rating was downgraded by the ratings agency Fitch over the weekend. Decent weekend rains were also a contributory factor, with large parts of the UK and northern France seeing good moisture in the past three or four days. Rain isn't necessarily good news for everybody. There has been far too much of it in Poland, affecting over 400,000 hectares of cropland, according to media reports. It has also been cold and very wet on the Canadian Prairies, with wheat and rapeseed plantings severely delayed. That shortens the growing cycle and greatly increases the chance of frost damage at the end of the season. German farmers have offered a total 1.828 MMT of barley into EU intervention this season according to data released today, compared with just 141,000 MT last season. That is more than ten times the volume offered into intervention here in the UK this season. Emile Heskey has yet again conned his way into an England squad for the upcoming World Cup in South Africa, just edging out Nogger's Dog in a close run contest. With the FA only able to afford 23 seats on the plane, there sadly won't be any room for Heskey's prized barn door or banjo, both an integral part of his strict training regime. "I'm gutted, totally gutted," the barn door told reporters at it's exclusive country retreat near Walsall. The distraught banjo was unavailable for comment, and is said to be being comforted by friends. Apparently Theo Walcott is a surprise omission from the England squad. It's maybe only a surprise to him, Capello has obviously considered his options and, after reading my blog this morning, made his mind up. Capello broke the news to Walcott via a call to his mobile whist he (Walcott that is) was out enjoying a game of golf. I bet that buggered up his back nine. Anyway, it's terribly bad form old boy, taking a call on your mobile whilst out on the course, don't ya know? SWP gets the vote as the useless little lad with rickets to carry the bags from the plane to the waiting coaches. 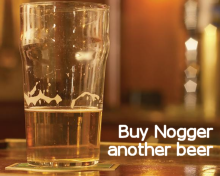 We're still sweating on the news as to whether Nogger's Dog gets in ahead of Heskey. The overnight grains closed lower, with beans and wheat down around 6-7 cents and corn around 5 cents easier. The dollar is up, crude oil is down and global stocks are also on the defensive. Once again China sold the vast majority of the corn it was offering at it's weekly corn auction: 924,500 MT of corn out of the 984,700 MT on offer found buyers despite corn processors being barred from taking part in the bidding. Will they be back to book more US corn cargoes this week? The China National Grain & Oils Information Centre say that soybean imports in the 2010 calendar year may rise from the 46 MMT currently predicted to 48 MMT. The USDA will report on crop conditions and planting progress after the close of CBOT tonight. Reports suggest that a largely dry weekend, drier than had been expected, should have helped corn planting just about wrap up and enabled further good advances with soybean sowings. Soybean plantings are expected to be 75-80% done. "The hard red winter wheat belt will turn very hot this week as desert air from the Mexican Plateau surges northward. Highs in the mid 90s F are predicted in West Texas and western Oklahoma, even approaching 100 F on a couple of days. Hot, windy weather will push wheat development causing premature ripening in Texas and Oklahoma. Moderate temperatures and recurring thunderstorms improved wheat ratings in May, but wheat will deteriorate rapidly this week with hot and dry weather," say Martell Crop Projections. Hot and dry certainly isn't the problem over the border in Canada. Here it's far too wet, and cold too. "At this point thousands of acres will not be planted or have been flooded after sowing. If we get one more rainy spell in the next 10 days, as is being predicted, the unseeded will become hundreds of thousands of acres. Quite a turnabout from being the "drought" story of the late winter early spring," my buddy Brad Eggum reports from Saskatchewan. The euro is once again under heavy pressure after Spain's credit rating was downgraded over the weekend. Early calls for this afternoon's CBOT session: corn called 3 to 5 lower; soybeans called 6 to 8 lower; wheat called 5 to 7 lower. Looking at the statistics for my part of North Yorkshire today I can say that we had only 16.8 mm of rain during May. Normal is 40-60 mm, according to the Met Office. It is worth noting that if we hadn't have had this shift to wetter weather coming on from the west at the end of last week, we'd have finished May with less than 10 mm of rain. Temperature-wise we peaked at a balmy 27.7C on May 22nd, Mrs N#3's birthday as it happens, righteous person that she is. Exactly a week later on the 29th when we got 6.9 mm (over 40%) of our months rain, the daytime high was just 11.4C. That's the British weather for you. Despite the blip into the upper 20's, overall May was cooler than normal, averaging just 10.6C. On a national level, crop development remains 7-10 days behind recent years, according to ADAS. "The dry weather in April and May, with rainfall around 60% of the long term average for these months, has raised concerns over moisture stress, particularly in crops on light land. Soil moisture deficits at the end of May are approaching 100mm in eastern regions, and crops are showing signs of moisture stress," they say. "Less than 10% of (wheat) crops have reached boot swollen stage at the end of May compared to around 50% in the last two years," they add. High levels of black-grass in wheat are also an issue this season, they conclude. The Russian Ministry of Agriculture have cut their estimate for grain production this season from 97 MMT to 88-90 MMT. They've been out on limb and far too optimistic for a while now, suggesting that production would match last season when winterkill instances have been much higher. Even so, 88-90 MMT is still towards the upper end of estimates from the likes of SovEcon who say 84-89 MMT. For what it's worth, last season wheat accounted for 64% of the total Russian grain crop. With much higher levels of winterkill this season, that may fall to around 60-62% this time round. If we use a ballpark middle ground of a grain crop of around 87 MMT, that suggests a Russian wheat crop of around 52-54 MMT this year, some 12-16% down on last year's 61.7 MMT. Plenty of rain over the weekend gives way to even more widespread wet stuff today. Drier and warmer is the outlook for the rest of the week, which certainly should perk things up somewhat. Still, a few late May showers don't make a crop. It's not over until Mrs N#1 sings according to the ancient English proverb. My guts are rumbling this morning, I knew that kebab was a bad idea, and they are telling me that yields will at best only be average this year. What is average? Coceral say 7.8 MT/ha is what we got last season and what they expect we will get this time round. Our very own Defra haven't issued an estimate yet, they're too busy cancelling propelling pens orders in a limp effort to conform to the newly introduced spending cuts. Things could be worse, my mate has got this mate right, and he's an agronomist out in the wilds of Kazakhstan no less. Straight up. So I emailed him to ask how things are looking over there. There have been some media reports of the late arrival of spring and the nasty D word being an issue this season. "v dry-had the Mullah out yesterday to pray for rain; sheep were slaughtered,etc - we got 1mm of rain! They're still drilling here into v dry seedbeds - apparently normal!" Mullah - "a teacher of Islam who knows how to recite the Quran" from Wikipedia, not to be confused with the German striker Gerd Müller, he was someone completely different. Our chums the USDA have got a surprisingly informative piece on Kazakh wheat production here, if you are interested. London wheat is down sharply this morning I see, possibly having gotten ideas a little above it's station of late. Certainly it looks like we are having to cram two days worth of losses into one, the market having been closed yesterday. CBOT wheat is also continuing where it left off on Friday, around 8-9 cents lower. Paris grains are lower, but not down as much having had an opportunity to get some losses in yesterday too. Saturday in North Yorkshire was forecast sunshine and showers, and that's exactly what we got, but without the sunshine. The morning drizzle gradually built up to steady, although not what you would call heavy, rain by lunchtime which gradually faded away towards evening. It was chilly and rather windy all day too. I had this crazy weird dream that only a week ago it was a balmy 28C, must have had too much Amber nectar on Friday night. Sunday morning was reasonably pleasant and dry, the wind had dropped and whilst not exactly sweltering it was probably about average for May. The morning be-shorted amble alongside the River Nidd with Nogger's Dog proved to be the best part of the day, with Saturday's sunshine and showers forecast spot on, if only 24 hours too late. Despite having the usual stack of work lined up I ill-advisedly took a few hours off to watch the England game. What can you say about that display of misplaced enthusiasm? Wingers first off, we just don't do them do we? That's three arses potentially on the plane to South Africa that will be a complete waste of time in Walcott, Lennon and SWP. Hands up who remembers Franz Carr, little black winger used to play for Forest, could run like brown stuff off a shovel and dribble better than Stephen Hawking sat in front of a roast dinner. Problem was after he'd left the full back for dead he's hoof his cross woefully into the stands and the opposition could all breathe a collective sigh of relief. Spot the similarity? Lampard and Gerrard clearly don't work together and never will, they are both far too similar a player and can't wait to get forward to attempt a wonder strike from just outside the area. At a couple of stages yesterday I was half expecting them to start tackling each other in their eagerness to impress. And whilst they are both tear-arsing up the pitch looking for glory, there's a massive hole in central midfield just waiting for someone more adept that lowly Japan to exploit. No wonder Ladbrokes were advertising "get on England for the World Cup at 7/1" during the half-time break. Paris wheat is down Monday I see, they've had a fair bit of rain over there in the last week or so too I understand. Doubtless London will open lower Tuesday morning too, unless the pound goes for a complete Richard Burton overnight. Certainly the recent UK rains and cooler temperatures have aided the look of the wheat and barley crops around here, although it's far to early to make any accurate predictions on yields. It's been dry and sunny so far this Bank Holiday Monday, although again not overly warm. That's all set to change tomorrow with widespread rain across much of the country it seems, with brighter weather moving in behind it from the west. The outlook then changes to drier and warmer towards the end of the week, according to Countryfile last night. Daytime highs for tomorrow are set to only reach around 12C, but we can expect a pleasant 22-23C Wednesday through into the weekend. That sounds like decent growing weather at last.